When I was young I loved to host tea parties with my stuffed animals, mimicking my parents version of Hong Kong afternoon tea. Now that I'm grown up my tea parties have transformed into high tea, catching up with girlfriends over sandwiches and decadent desserts. 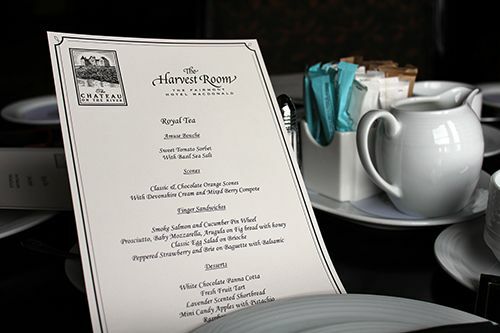 Edmonton doesn't have many options for high tea, but if there's one tea service I'll recommend it's the Royal Tea hosted at The Harvest Room inside the historic Fairmont Hotel MacDonald. High ceilings and the traditional architecture in the dining room add to the experience of having traditional afternoon tea. 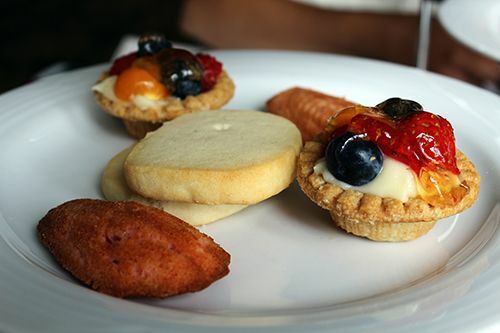 Hosted every Saturday and Sunday at 2:30 PM, high tea comes with impeccable service and a gorgeous view overlooking Edmonton's river valley. 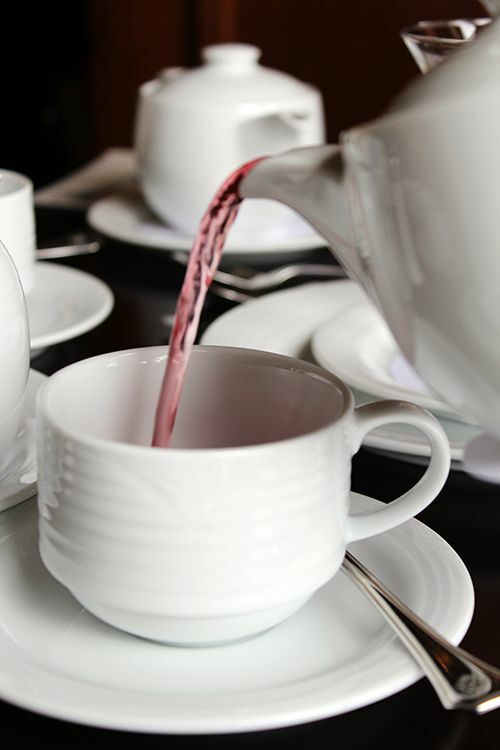 Each guest gets their own teapot to steep one of the tea blends exclusive to the Fairmont hotels, and there is a lovely variety to choose from. 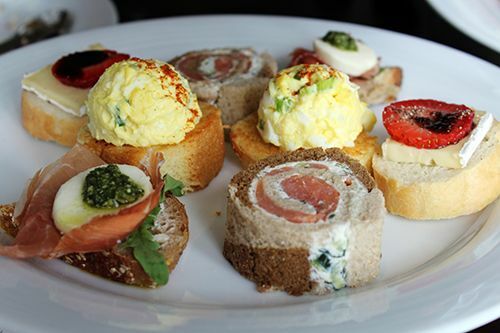 After an hour of sipping tea and sharing bites, a tour of the historic hotel is offered to all guests at high tea. It's a great way to learn about this landmark in the city, and you can even visit the grand Queen Elizabeth II Suite (subject to availability). 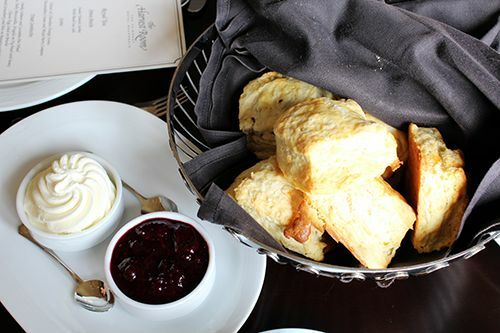 At At $39 (+ tax&tip) per person you can expect to have great food (the scones are my absolute favourite!) and even better service. 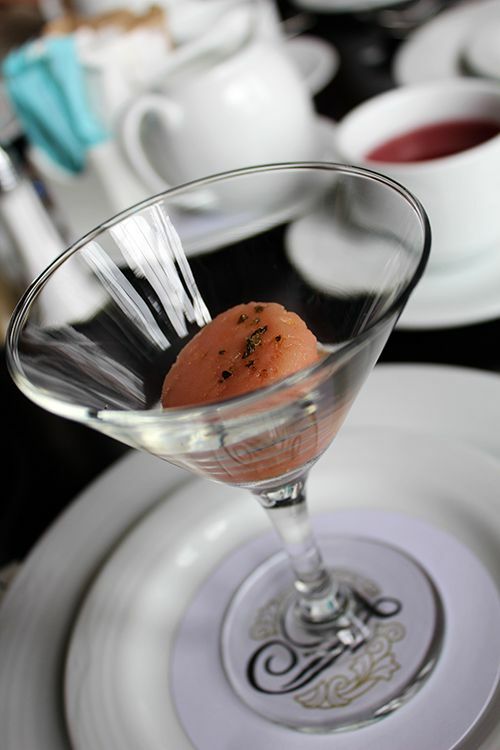 It can be fun to indulge in a fancy tea service from time to time, especially when they have special themed menus. Reservations are required so make sure to book ahead of time! My favourite is at Rutherford House! I love high tea! Ahhh gorgeous! I haven't had a proper hi- tea in 2 or 3 years! Totally gotta put the money aside for a fancy high tea day in the future months! Love the color of the tea you ladies had and those finger sandwiches look so delectable! omg everything looks so good! 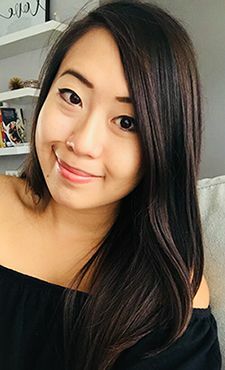 Happy Chinese New Year Andrea! I love high tea too. These looked amazing! My favourite are the scones. I agree with the lovely atmosphere and great service (and food) but I find it so, so disappointing that they use their commercially produced teabags instead of offering loose tea blends! It really does make such a difference to the quality of the tea- which really should be front and centre, no? I highly recommend trying the afternoon tea service at Cally's, if you haven't already. Not as formal, but so cozy, lovely and the tea is the star! I think the Fairmont just started introducing loose leaf teas for their royal tea, so it will be interesting to see how it has changed! I definitely agree with you that the tea should be a major selling point, but those pastries get me every time! :) I'll definitely have to check out tea at Cally's. Thanks for the rec!